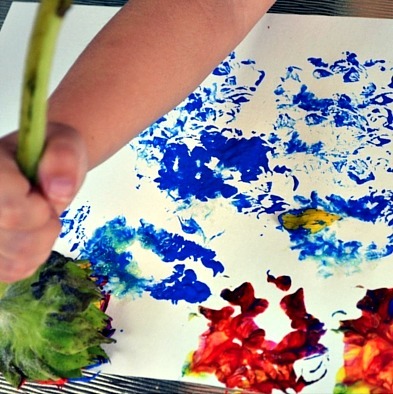 Preschool painting doesn’t have to get boring! 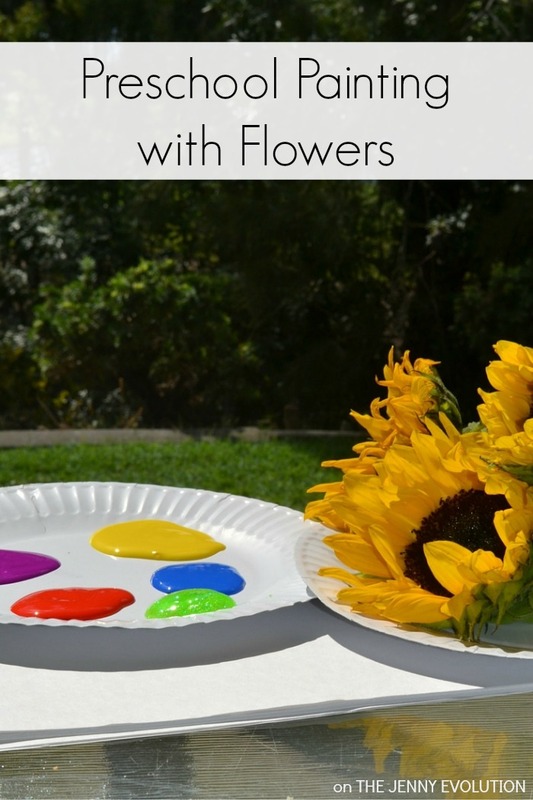 Try it with a twist and replace those paintbrushes with flowers. 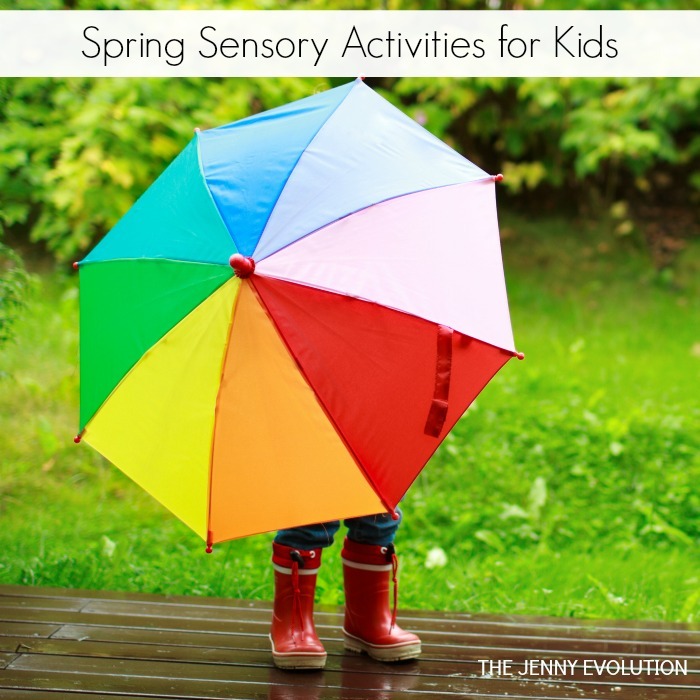 Today, Carol from My Bored Toddler is joining in on a new sensory series here on The Jenny Evolution featuring spring sensory activities! 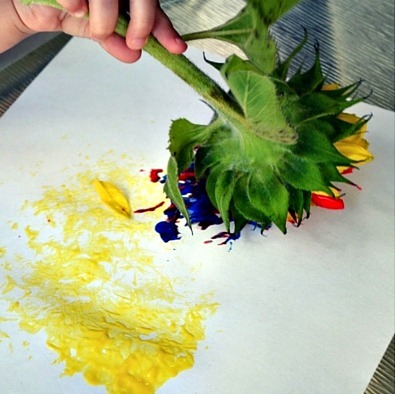 And sharing her adventure of painting with sunflowers with her own kiddos. Spring is one of my favorite times of the year. 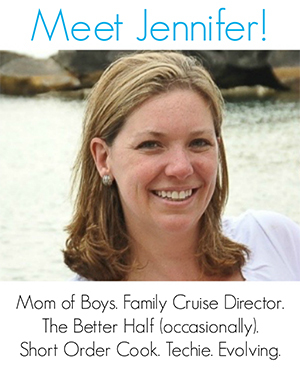 It’s a great excuse to get the kids outside and there are so many great Spring activities that my toddler enjoys. We love going on Spring walks, and enjoy looking at all the beautiful flowers. This week we decided to paint with some of the flowers from our garden, and they had lots of fun doing this. Collect the flowers. If you are using old flowers then you can skip this step, however I like to make the collection of the flowers part of the fun. We will often use flowers from our own garden, and other times we will go around collecting wild flowers and leaves. We discuss the color, smell and texture of each of the flowers as we collect them. Set up your paints. Try to use bright colors. I use a paper plate as my paint palette as it’s large enough to put the whole flower in, and it’s easy to throw it away when you’re done. Let them paint! My girls really enjoyed painting with the flowers, but you can also use the bottom of the stems to make patterns, and the leaves make great patterns too. About Carol: Carol is the owner of My Bored Toddler, a website full of crafts and activities to keep your toddlers busy. You can find lots more toddler activities and toddler painting ideas. What a beautiful art project! I absolutely love it! I will be doing this in the spring for sure! Thanks for linking up in our #TAKETIME link up! These came out so beautiful! Hooray! Thanks for the feature love 🙂 It’s always fun to do a twist on an old favorite. What a wonderful idea! I will give it a try with my daughter soon, I’m sure she is going to love it! My kids absolutely love doing painting with a twist 🙂 Have fun! We love finding ways to paint without paintbrushes! Adding this to our list for the summer! Thanks for adding it to the #taketime linkup!